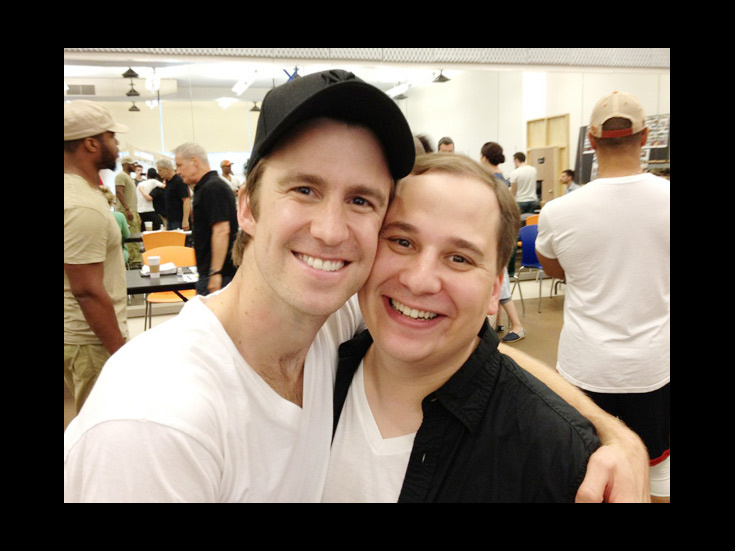 As the national touring cast of The Book of Mormon prepares to head out on a musical mission across America, Tony nominee Gavin Creel and Jared Gertner are in the final stages of getting into character as Uganda-bound missionaries Elder Price and Elder Cunningham, respectively. The company is set to leave New York on July 27 and will begin performances in Denver, the tour’s launch city, on August 14. After Denver, The Book of Mormon will hit Los Angeles, San Francisco, Portland, Seattle, Detroit, Boston and more. In one of the final rehearsal photos tweeted by Gertner, the two stars couldn’t look more excited to bring to the word to cities across America!